Harwinton derives its name from the fact that it was settled in 1726 by emigrants from Hartford and Windsor, and it was originally called “Hartford and Windsdor’s Town..” Those settlers from Hartford were given land rights in the eastern part of town, while those from Windsor were given the west side of town. A post was put on the dividing line, and that post evolved into the Harwinton’s well-known Sign Box. An old image of the Harwinton green, courtesy of the Harwinton Historical Society. 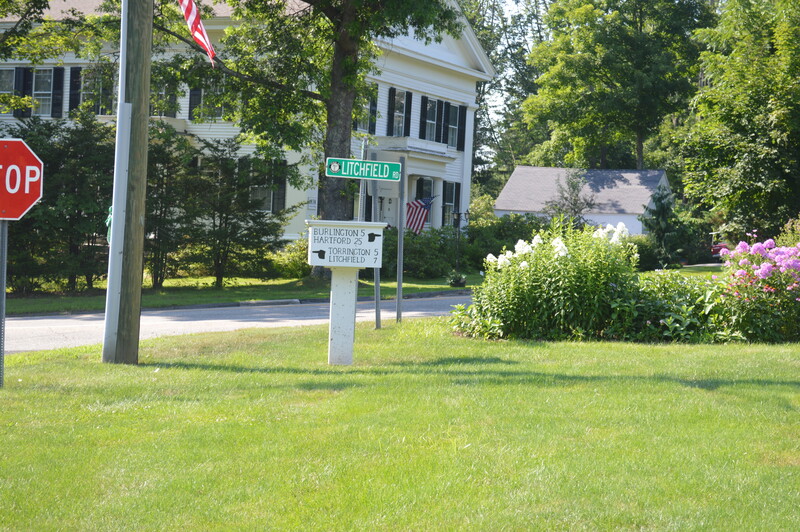 The sign box was designed by Lewis Smith, who served as the town’s probate judge from 1844 to 1860. 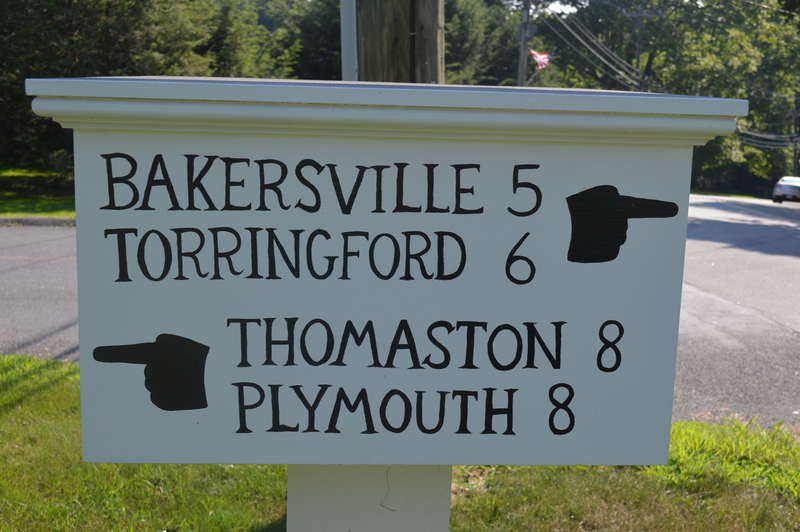 In addition to providing directions and distances to nearby towns, the sign box also provided residents a means of posting notices to their fellow townspeople in the days before other forms of communication. In 2006 a wayward motorist destroyed the sign box, which was soon replaced. In May 2013, Larry Connors, a woodworker in town, constructed a more permanent structure and Amanda Surveski, a student at Lewis S. Mills High School, painted the letters, distances and directions. 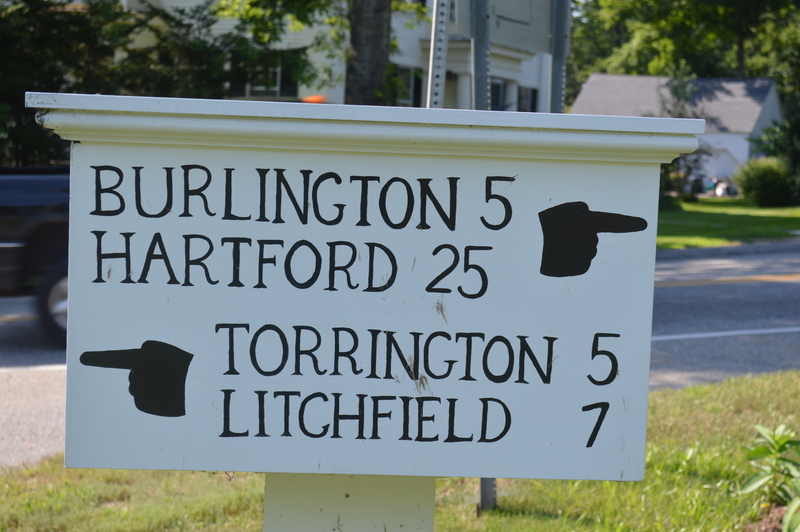 While thousands of drivers pass it every day without noticing it, the Harwinton sign box is one of those landmarks that give our New England towns their character. 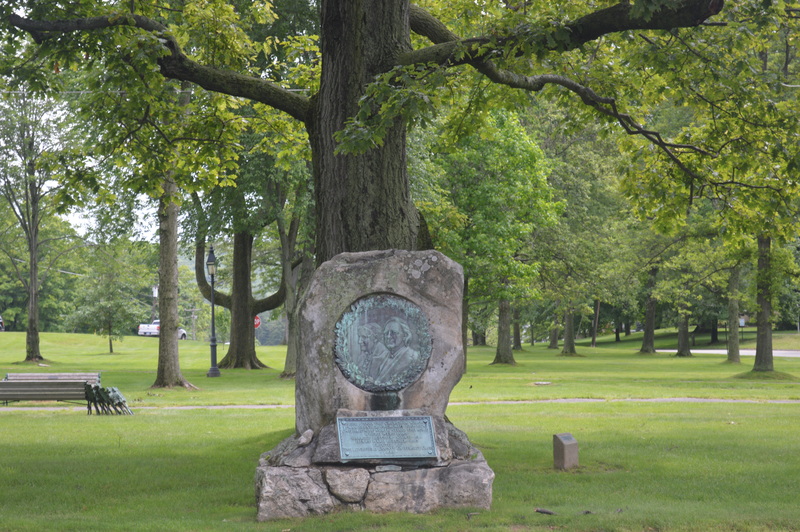 The monument sits prominently on the eastern end of where Route 63 passes through the Litchfield green, a fitting location for the monument to Litchfield’s most prominent family. 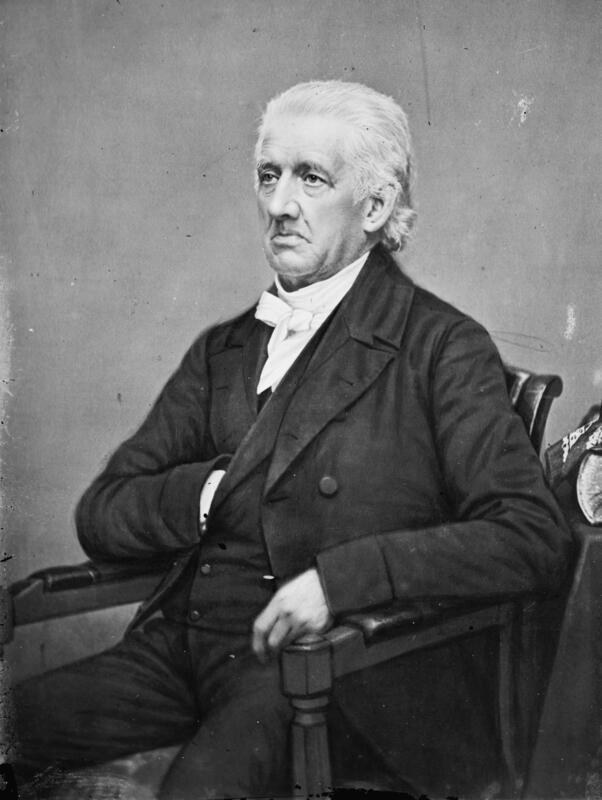 Lyman Beecher was born in New Haven in 1775 and graduated from Yale in 1797. The following year he became the pastor of the East Hampton (Long Island) Congregational Church at an annual salary of $300. He remained there for twelve years before he was hired by the Litchfield Congregational Church, where he remained for sixteen years. 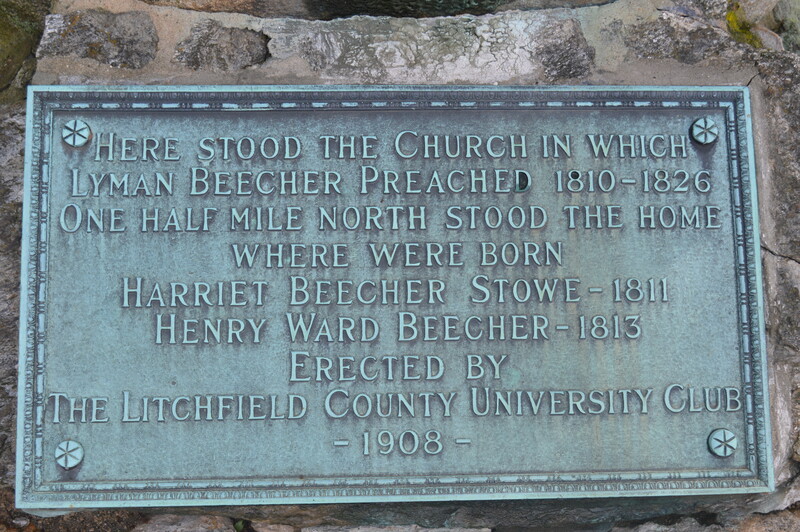 (It is interesting to note that the monument sits at the site of Beecher’s church; the current Congregational Church was moved to its site in 1929). Timothy Dwight, the president of Yale University, preached the sermon at Beecher’s installment service. 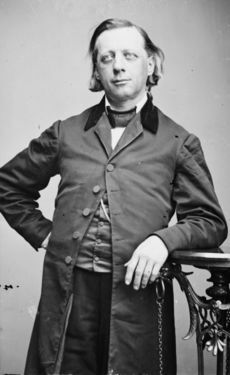 Beecher very quickly established himself as one of the nation’s most important religious leaders. 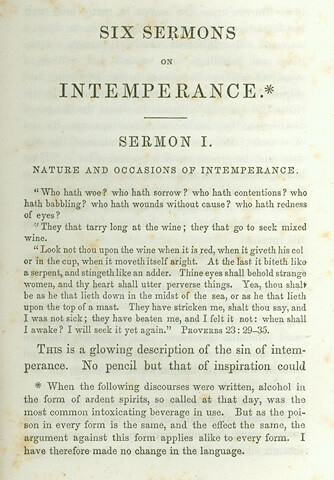 He was central to the establishment of the Litchfield County Foreign Mission Society, and from the pulpit at the Congregational Church gave the Six Sermons on Intermperance, that when published in book form in 1826 were widely circulated on both sides of the Atlantic and were “among the earliest and most effective” statements on behalf of the temperance movement. Lyman Beecher’s achievements have largely been eclipsed by those of his children; in fact, Theodore Parker, the noted writer and abolitionist said that Lyman was the father “of more brains than any other man in America.” Harriet Beecher was born in Litchfield the year after Lyman was installed as pastor. One townsperson shared a recollection of Lyman Beecher serving as the judge of an essay contest among the students of Sarah Pierce’s academy. Upon hearing one essay he immediately brightened and asked who had written it. He beamed when he learned it was his daughter’s work. Henry Ward Beecher, soon to surpass his father’s fame as a minister, was born in Litchfield in 1813. He was remembered by his classmates for building a pulpit out of hay and impersonating the elder Beecher’s sermons. 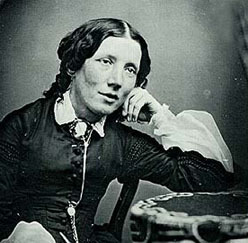 Catharine Beecher, Lyman’s oldest child, would become a reformer and leading proponent of the cult of domesticity. While not born in Litchfield, she had fond memories of the annual “minister’s wood sled” when members of the congregation would bring Beecher wood for the winter and in return the Beecher children would serve them cider, hot cakes and doughnuts. 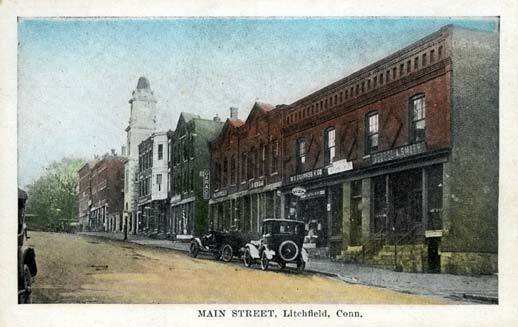 The Beechers’ time in Litchfield ended in 1826 when Lyman moved to a congregation in Boston. 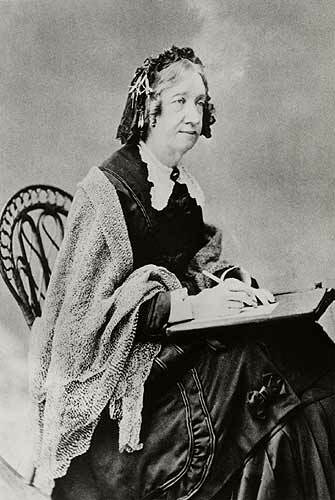 Harriet achieved her fame in Cincinnati and Maine, Henry Ward headed the Plymouth Church in Brooklyn, and Catharine opened a school for girls in Hartford. 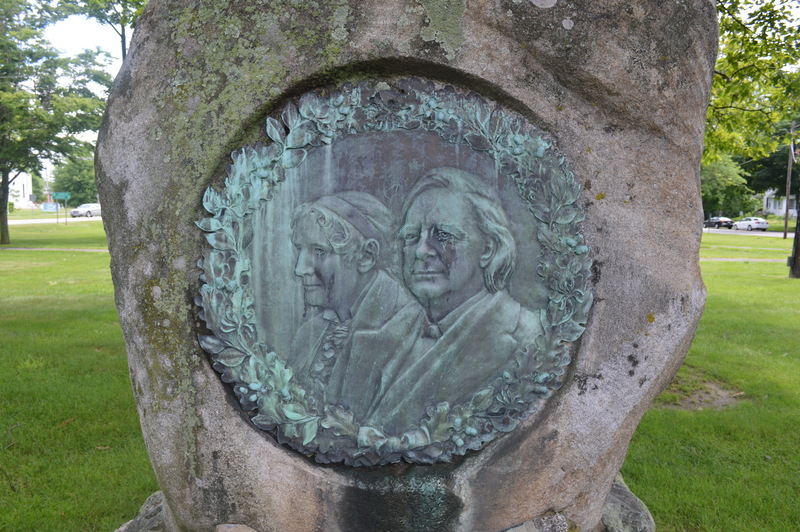 Still, they had a great impact on Litchfield, as remembered by this monument which was erected by the University Club in 1908.